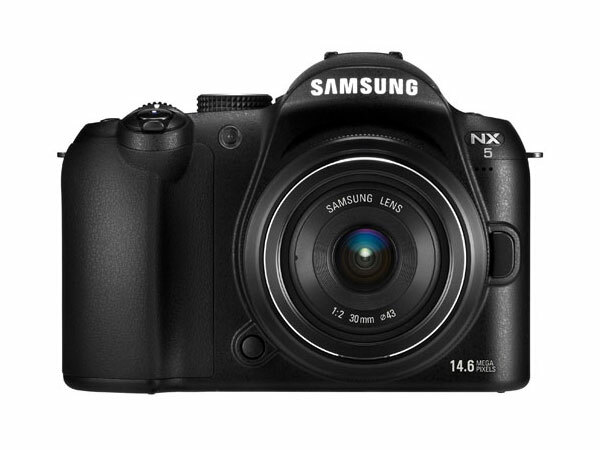 Samsung’s NX5 camera which has been rumoured for some time has now been officially released. The NX5 is the smaller brother of the NX10 yet still packs in a 14.6 megapixel system into its smaller form factor. The most important difference is the higher image quality compared to other compact camera. Like the NX10 the Samsung NX5 has an integrated APS-C CMOS image sensor, the same sensor size of almost all digital SLR cameras. The NX5 features an electronic viewfinder interchangeable lens support and has a 3 inch TFT LCD rather than an AMOLED display which you would find on the NX10. The Samsung NX5 will be available to purchase for around $856 from this month onwards.